The University of Florida, Department of Ophthalmology is pleased to announce the opening of its new Refractive Surgery Center, located within the UF Health Eye Center – Hampton Oaks. The center is now accepting consultations for iLASIK and Advanced Corneal Surface Ablation for the correction of nearsightedness, farsightedness and astigmatism. iLASIK is the most advanced LASIK procedure available. It is performed by combining bladeless corneal flap creation and customized corneal correction based on a “fingerprint” of your eye. UF Refractive Surgery Center is currently the only provider of iLASIK in the area. The Refractive Surgery Center is equipped with the latest and most advanced technology. Our refractive laser is a VISX StarS4 with Active Track Eye Tracking System and Iris Registration to allow us to achieve the most accurate corrections. An Intralase laser is used to create the iLASIK flap without a blade. iLASIK is a two part procedure. The first part of the procedure involves making a flap on the surface of the cornea in order to provide a surface for the VISX laser to treat. In the past, this flap was created using an oscillating metal blade which was passed across the cornea. Although rare, the use of a blade sometimes led to complication such as free caps, in which a portion of the cornea was completely cut off, and small buttonholes in the flap, which required halting the procedure. At the UF Refractive Surgery Center, a separate laser, the Intralase, is used to make the flap. It focuses energy at the correct depth of the cornea to make a flap with precise dimensions. The use of the Intralase laser results in much lower chance of having a flap complication. Our VISX laser which reshapes the cornea is equipped with the most advanced features to help us achieve precise corrections. When patients go from a sitting to reclining position, there may be rotation of the eyes. With conventional LASIK, the rotation may lead to laser being directed at the wrong area of the cornea. Iris registration maps the landmarks which are unique to each iris and uses this information to ensure that laser energy is directed to the precise location where it is needed. Additionally, our laser has Active Trak technology. This technology identifies the pupil and makes sure that the treatment is well centered. When the patient’s eye makes small movements the tracker follows it. If the pupil moves out of the tracker’s range, the tracker pauses the treatment until the eye is back in the proper position. Finally our laser is equipped with Customvue Technology. Traditionally, a patient’s glasses prescription corrects myopia, hyperopia, and astigmatism. These are also the refractive errors that are corrected by conventional LASIK. With Customvue Technology, a separate machine called a Wave Scan measures the refractive error of the eye. This machine measures the error 25x more precisely than the equipment used to measure the refractive error in conventional LASIK. In addition to correcting myopia, hyperopia, and astigmatism, Customvue Technology treats what are known as higher-order aberrations. These are components of refractive error which cannot currently be corrected with glasses or contact lenses. Correction of these errors lowers the risk of haloes, starbursts, and problems with night vision which some people have after conventional LASIK. 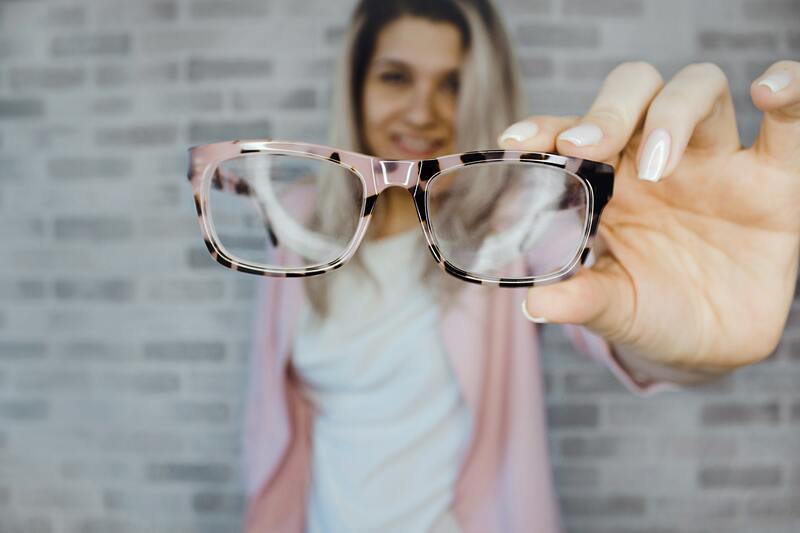 In addition, clinical studies show that a higher number of patients achieve 20/20 vision or better with Customvue procedures, compared to conventional LASIK. The surgeons at UF Refractive Center are all fellowship trained cornea specialists and are board certified Ophthalmologists. At many discount LASIK venues, the patient does not see the surgeon before or after their surgery. At UF Refractive Surgery Center, all patients are seen by their surgeon both before and after the procedure. A careful screening is performed to ensure that the patient is a suitable candidate for iLASIK. Some patients who are not suitable candidates for iLASIK may be candidates for Advanced Surface Ablation. In this procedure, the laser is applied to the surface of the cornea after the surface cells, or epithelium, are removed. This procedure has a longer recovery period and can cause some discomfort, but ultimately it has excellent outcomes. Thank you for considering UF Refractive Surgery Center. New patient appointments can be made by calling 352-273-8714. Services are provided at UF Health Eye Center – Hampton Oaks. The director of the refractive surgery service is Matthew Gray, M.D.